On April 24, 1996, women’s basketball announced “We Got Next” as the NBA Board of Governors approved the concept of a Women’s National Basketball Association and play began the next June. Take a look at the how the WNBA has evolved from those beginnings through the league’s seven years of existence. Eight teams were announced for the league’s inaugural season. The Eastern Conference consisted of the Charlotte Sting, Cleveland Rockers, Houston Comets and New York Liberty while the Western Conference was comprised of the Los Angeles Sparks, Phoenix Mercury, Sacramento Monarchs and Utah Starzz. 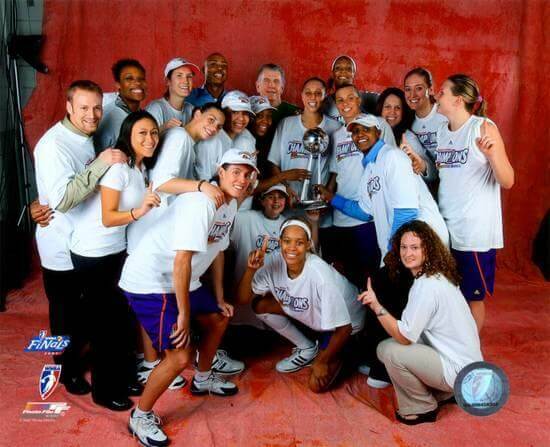 The 2007 WNBA season officially ended on September 16 when the Phoenix Mercury won the season WNBA Championship. 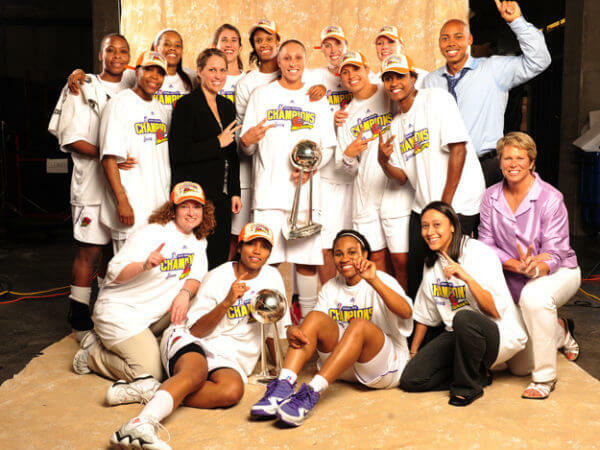 The Mercury defeated the Detroit Shock 3 games to 2. Mercury guard Cappie Pondexter was named Finals MVP. The 2014 WNBA Finals was the playoff series for the 2014 season of the Women’s National Basketball Association (WNBA), and the conclusion of the season’s playoffs.The Phoenix Mercury, champions of the Western Conference, faced the Chicago Sky, champions of the Eastern Conference. The WNBA Finals were under a 2–2–1 rotation. 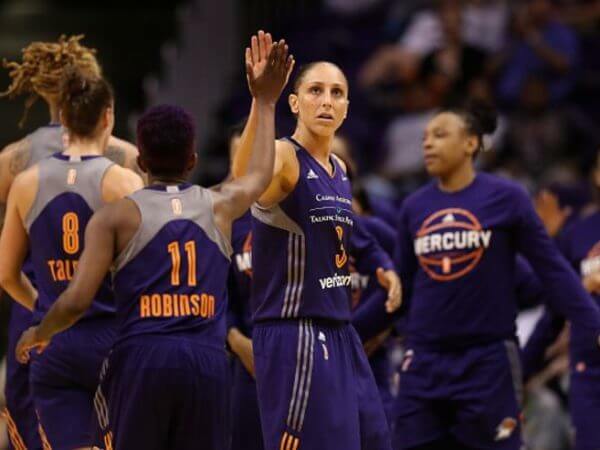 The Mercury held home-court advantage as they had a better regular season record (29–5) than the Sky (15–19). 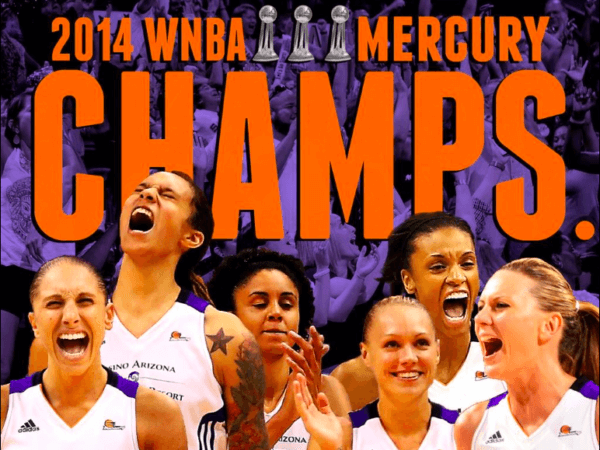 The Mercury swept the Sky in three games to win their third title in franchise history. The Phoenix Mercury are a professional basketball team based in Phoenix, Arizona, playing in the Western Conference in the Women’s National Basketball Association (WNBA). The team was founded before the league’s inaugural 1997 season began; it is one of the eight original franchises. The team is owned by Robert Sarver, who also owns the Mercury’s NBA counterpart, the Phoenix Suns. Mercury – To align with their counterpart NBA Phoenix Suns, taking on the nickname of Mercury certainly comes very close the Sun. Who is the greatest Phoenix Mercury? The Phoenix Mercury are a professional basketball team based in Phoenix, Arizona, playing in the Western Conference in the Women's National Basketball Association (WNBA).